Me and some of my college classmates haven't had a get-together for quite some time. Although modern technology allows us to communicate through mobile phones, e-mail, and mostly Facebook, I haven't physically been with my buddy Jai since we last watched a Philippine Azkals football game against the Los Angeles Galaxy at Manila's Rizal Memorial Coliseum in 2011. I do meet up with Orville more frequently compared to my other college batch mates. This past weekend we had a chance for a get-together with some college classmates and our batch mates from the 8th circle of the Facilitators' Circle. When it was time to part ways again, three of us decided to have dinner on a Sunday night. 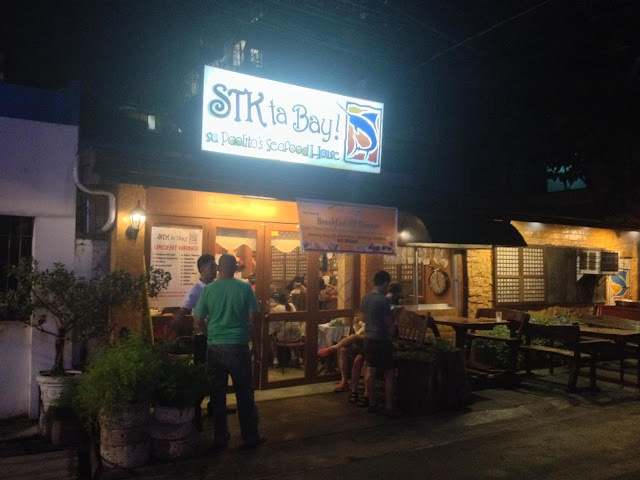 We ended up at STK ta Bay as Orville was craving for some grilled tuna panga. The restaurant interior had brown varnished walls along with the wooden heavy furniture and tiled brownish-colored floors. It is adorned with various collections of porcelain, chinaware, religious icons, paintings, and photographs. The design projects the rustic feel of an old house. It gives diners a feeling of eating at home. 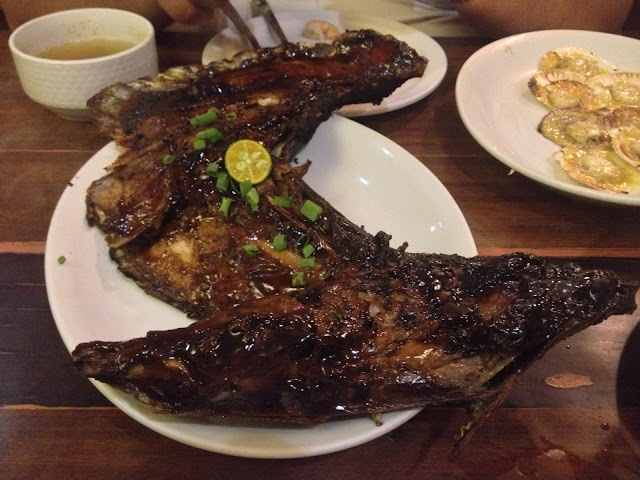 Of course we ordered a generous serving of grilled tuna panga. 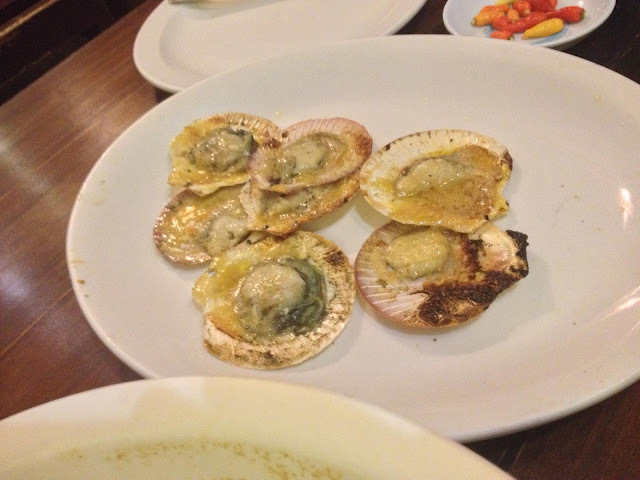 Aside from that, we also ordered shrimp sinigang, suglaw, crab relleno, and two servings of baked scallops. For our beverage, we got some good old sweet iced tea. Grilled tuna panga is the specialty of the house at STK ta Bay. What makes this rock is the sweet glaze. 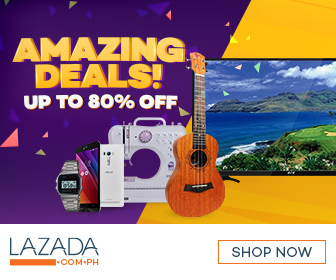 Sweet food is simply awesome for the Filipino palate. So far, this is the best grilled tuna panga I've had in Cebu. Suglaw is fish kinilaw (ceviche) with sinugbang baboy (grilled pork) mixed in gata (coconut milk). This is a nice appetizer to the grilled tuna panga. We had some crab relleno to make it officially a seafood-heavy meal. 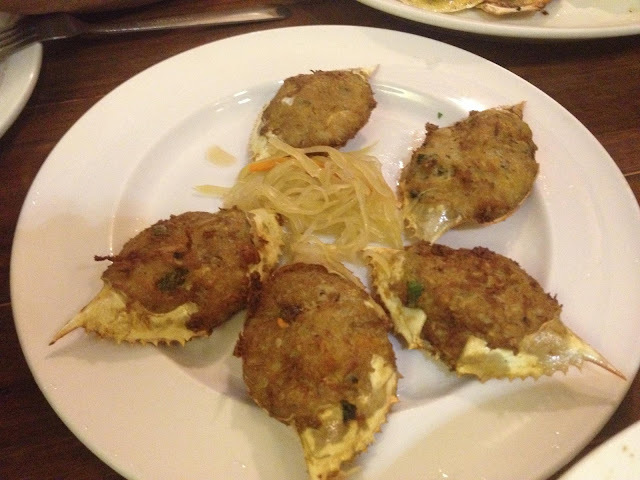 That's some crab meat and flour stuffed into a soft crab shell then fried. For the soup, we had shrimp sinigang. Sinigang is a sour-blend Filipino soup. This one had shrimps and vegetables. 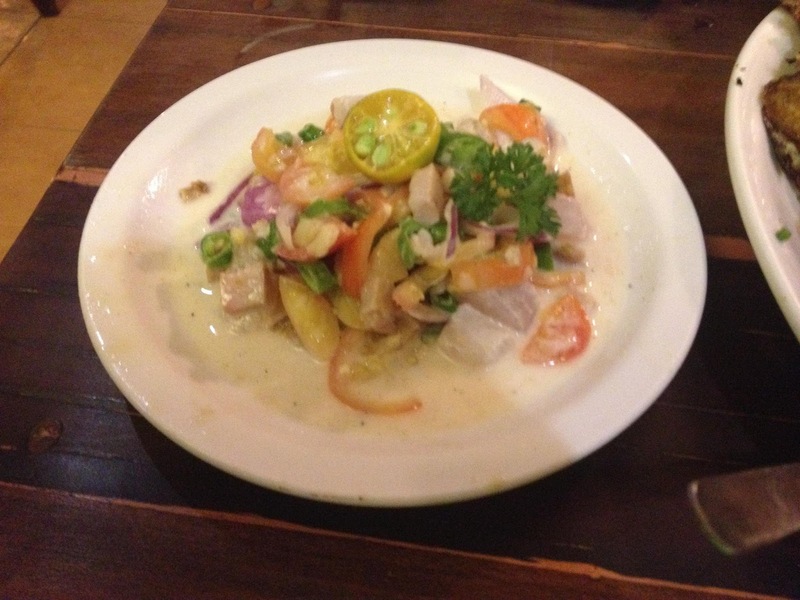 The sourness is a good compliment to the sweet-glazed grilled tuna panga. Among many restaurants in Cebu, STK ta Bay's baked scallops stands out. I am speaking from personal experience. This sweet, cheesy treat can be a good appetizer for the grilled tuna panga. The other place that serves delicious baked scallops in Cebu is The House of Lechon. Have you tried the seafood dishes at STK ta Bay! 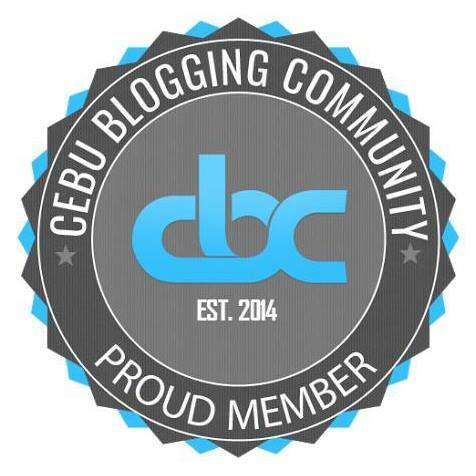 in Cebu City? What is your favorite seafood dish on their menu? You may share them in the comments below.